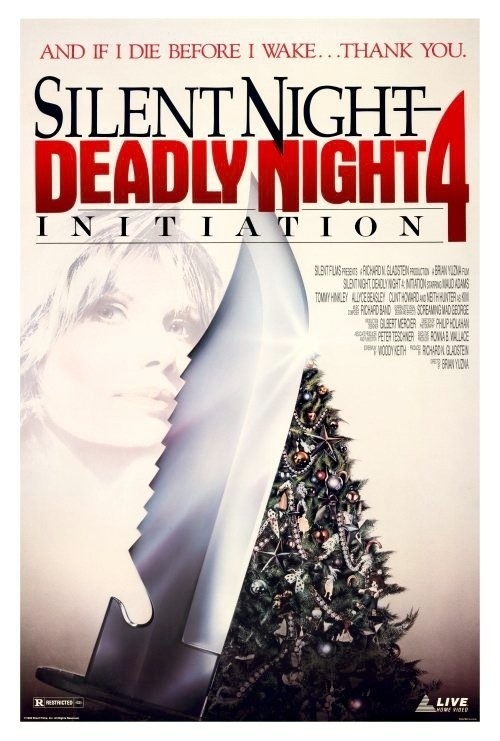 As if we really needed a 4th installment, but we ended up getting one regardless of the fact; Silent Night, Deadly Night 4: Initiation is a sequel by name only and has no connection to the previous 3. I wouldn’t be surprised if the title Silent Night, Deadly Night was thrown on for marketing reasons. The original was the best part of the series and in my opinion an underrated slasher flick that is a bit better than often given credit for and also captures the Christmas feel, but each sequel the Christmas feel was less and less and if not for a few decorations you wouldn’t even know this was set on Christmas. 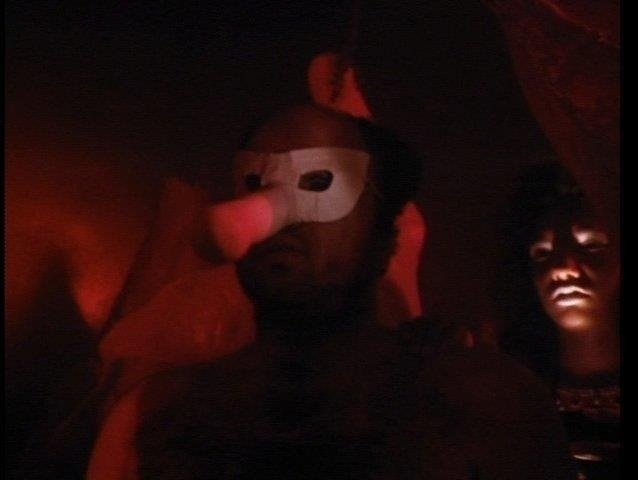 There also seems to be some confusion over the Ricky character played by Clint Howard; Ricky of course was the name of the killer in the 2nd and 3rd parts of the series, but the Ricky character in this one is meant to be a different character. I suppose the confusion stems over the name and in a scene where Ricky is watching TV and a scene from Silent Night, Deadly Night 3 appears with the lead character getting attacked by a killer in a Santa suit (the only time in that movie the killer wears that) and when someone asks Ricky who he is, he responds with the Santa Killer, but I think he was referring to the TV rather than who he was. 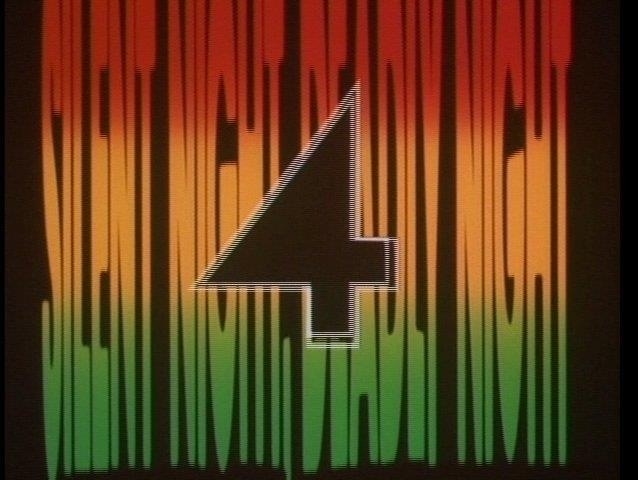 Let’s just cut straight to it; Silent Night, Deadly Night 4 is one terrible flick with very little redeeming qualities going for it. There really isn’t much of a plot or much of anything for that matter, but the one thing the movie does have going for it is the weird factor; if anything the weirdness of the movie keeps it watchable, but very barley watchable at that. The screenplay by Woody Keith is rather terrible and sloppy with no real plot points and mostly boring characters that add nothing to the film. He wrote a rather strange script, but there really isn’t anything here interesting at all and it’s hard to believe this script was given the green light. The characters are dull and lifeless and the script is just so poor and pathetic. Director Brian Yuzna has made some decent films, but this was just terrible; Yuzna directed the cult classic Return of the Living Dead III, which I personally find highly underrated and he also directed The Dentist & The Dentist 2, which are campy fun and he also directed Bride of Re-Animator and Beyond Re-Animator as well as producing the original Re-Animator. I don’t think Brian Yuzna will go down as one of the greats, but he has directed and produced some solid films and I’m a fan of his work, but what happened with Silent Night, Deadly Night 4? Of all the Brian Yuzna movies I’ve seen this has to be his very worst film; there is no sense of pacing or anything remotely interesting. We simply go from lame scene to lame scene. Though one scene, which features Ricky chasing after Kim (Hunter) has some decent suspense, but not enough to make it anything special. Like I said earlier on the weird factor this movie rates highly. Like I said I enjoy some of his movies, but this was simply horrible. The movie just has no clear direction and it seems everyone involved wants to create a David Cronenberg type flick, but they all failed miserably. The cast is fairly decent with Cult actor Clint Howard and former Bond girl Maud Adams as well as Reggie Bannister best known from the Phantasm series and Allyce Beasley best known for the TV series Moonlighting; the performances weren’t bad, but the actors have very little to work with; Neith Hunter a former model plays the lead character Kim and she also delivers a fairly good performance with the very little she’s given. Like I said in the opening of the review, Silent Night, Deadly Night 4: Initiation is a sequel by name only with no connection to the previous 3 and if not for a couple of Christmas decorations and two scenes you would never know it was set at Christmas time, which if you are making a movie called Silent Night, Deadly Night I think Christmas should play more of a part. The original film was excellent and part 2 was horrible, but at least was fun, but this one is by far the worst of the series. At times its a chore to sit through.